You have to be excited about a weekend in Boston in the fall with a line up of Lacrosse entertainment like this. The World Champions keeping the torch lit with some US competition…. 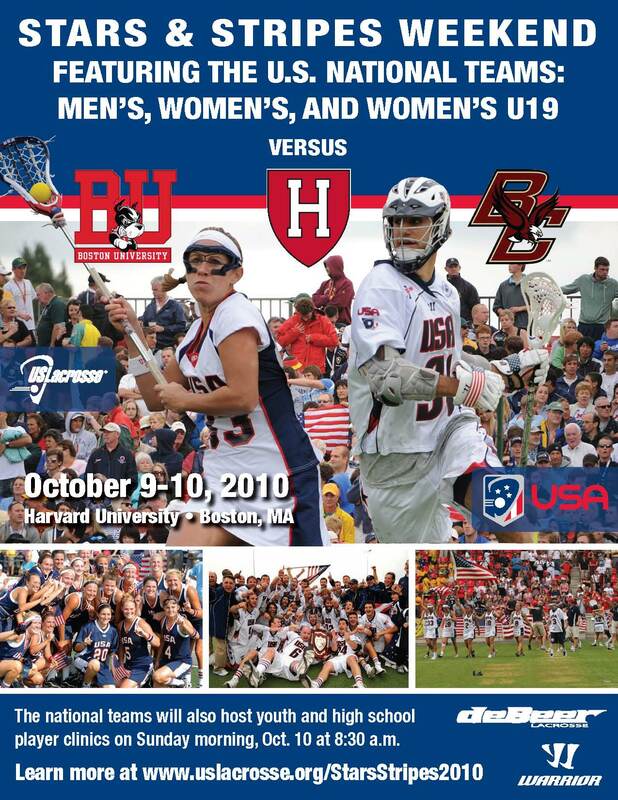 US Lacrosse has put together an exciting weekend of events at Harvard’s new lacrosse venue. This entry was posted in Lacrosse Tournament, Uncategorized. Bookmark the permalink.